Universal Pipe Clamp #GPC125U GPC125U 1.500 – 1.660 inch 1 1/4 inch 14 gauge 100 pcs. 600 lbs. 27 lbs. Universal Pipe Clamp #GPC150U GPC150U 1.740 – 1.900 inch 1 1/2 inch 14 gauge 100 pcs. 600 lbs. 30 lbs. Universal Pipe Clamp #GPC200U GPC200U 2.197 – 2.375 inch 2 inch 14 gauge 50 pcs. 600 lbs. 35 lbs. 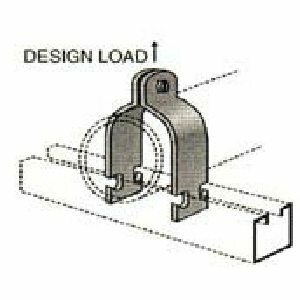 Universal Pipe Clamp #GPC037U GPC037U 0.577 – 0.675 inch 3/8 inch 14 gauge 100 pcs. 600 lbs. 18 lbs. 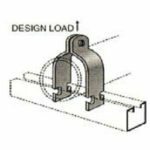 Universal Pipe Clamp #GPC050U GPC050U 0.706 – 0.875 inch 1/2 inch 14 gauge 100 pcs. 600 lbs. 20 lbs. Universal Pipe Clamp #GPC075U GPC075U 0.922 – 1.050 inch 3/4 inch 14 gauge 100 pcs. 600 lbs. 22 lbs. 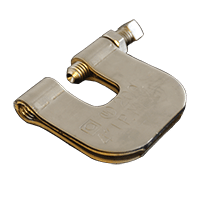 Universal Pipe Clamp #GPC100U GPC100U 1.125 – 1.375 inch 1 inch 14 gauge 100 pcs. 600 lbs. 24 lbs.